Easy operation, including a four-line display that provides intuitive visuals to guide users. 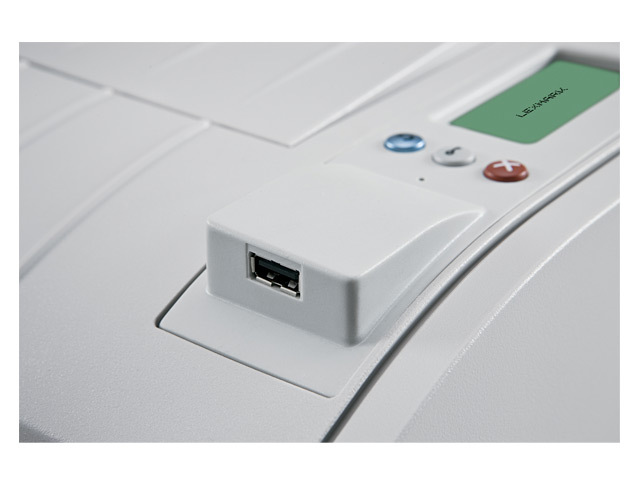 Plus a convenient front-side Direct USB for printing PDFs and other image file types directly from portable memory devices. From network security to user-access restrictions, you’ll be fully equipped to keep valuable data safe and sound. 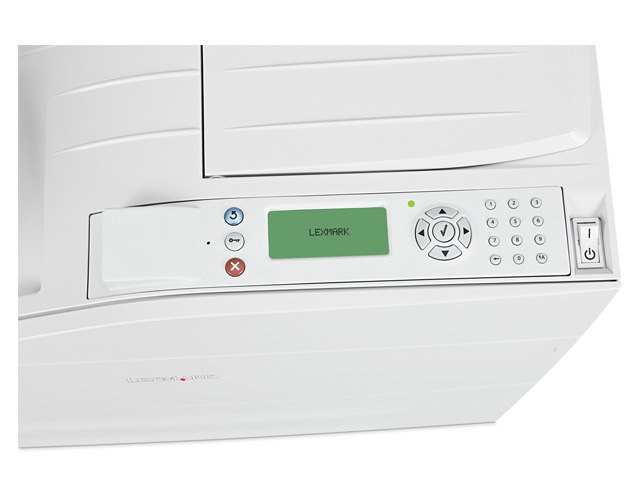 In addition to IPSec, SNMPv3 and 802.1x network security, the Lexmark W850n offers an alphanumeric pad for easy PIN authentication, plus encryption and disk wiping to secure the optional hard disk. Combines reliable high-speed printing with must-have features like Job Waiting to keep the print queue flowing and Direct Web printing for on demand printing of online documents. Plus a solutions-ready framework for tapping into serious business apps that can help you save paper, cut waste, lower costs and enhance document security. See Related Links to learn more. From start to finish, designed to handle your toughest tasks―from hard-to-print media to paper sizes up to A3. 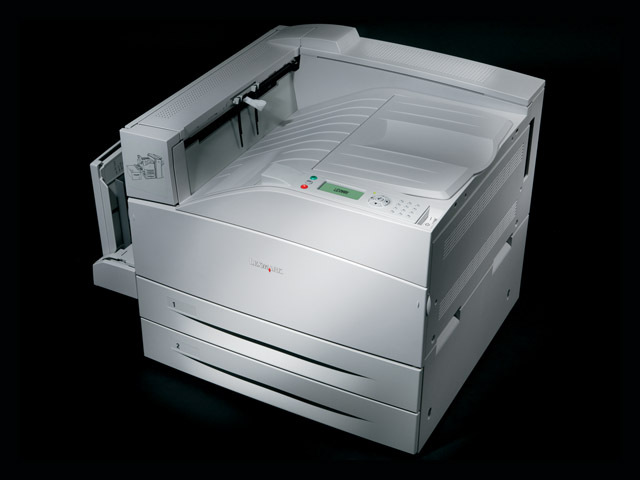 Optional accessories let you easily expand your input capacity up to 5,100 sheets or add finishing touches with stapling, hole punch and offset stacking. 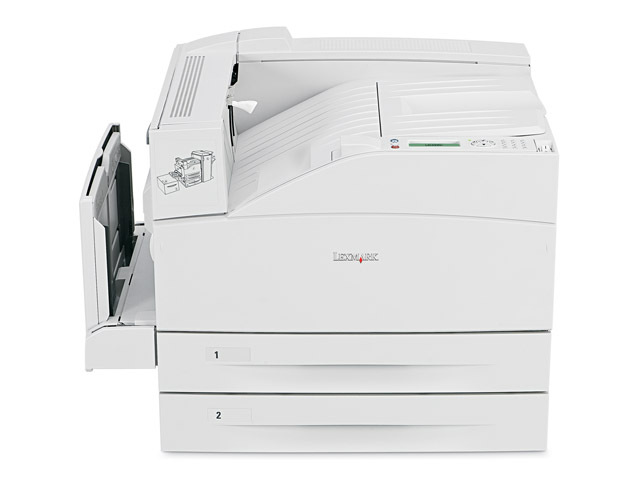 Reach your true productivity potential with Lexmark's most powerful monochrome laser printer. You'll get powerful 800MHz processing and 256MB of RAM standard, with print speeds up to 50 ppm and the first page out as fast as 6 seconds, plus fast Gigabit Ethernet. 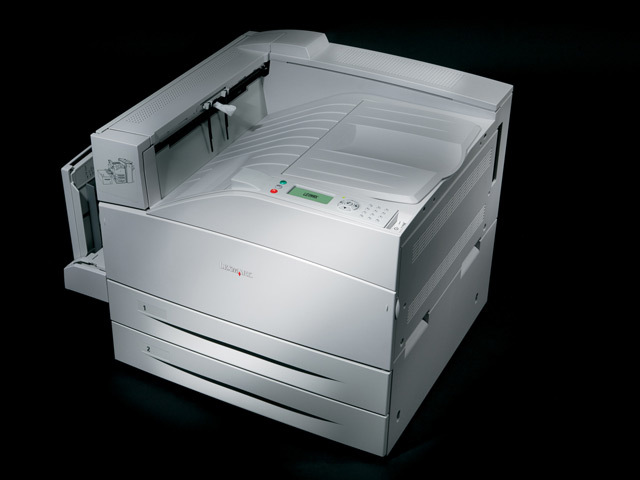 Designed with eco-conscious features like Eco-Mode to help you save energy and Quiet Mode for ultra-quiet operation. Recycle your empty cartridges free of charge through the Lexmark Cartridge Collection Program (see Related Link to learn more).